NEED TO SPEAK TO THE FRONT DESK? Call 1-402-477-1100. Our non-smoking Inn offers an indoor pool & hot tub, fitness center, FREE hot breakfast and coin laundry. All rooms feature free WiFi, in-room coffee, hair dryer, iron & ironing board and a 36 inch flat-screen TV. Book now! NEED TO SPEAK TO THE FRONT DESK? Call 1-402-477-1100. Red Roof Inn & Suites Lincoln is non-smoking and offers an indoor pool & hot tub and coin laundry. Enjoy free hot breakfast, coffee & tea, free WiFi and a restaurant within walking distance. Stay with us! Less than 1 mile away you will find Applebee’s, Golden Corral, IHOP, Jimmy John’s, Carlos O’Kelly’s, Schlotzsky’s and more. Click here for a list of all the dining options in Lincoln. Book now! Mahoney Golf Course, 5.4 miles away, is a beautiful 18-hole, par 70 championship course with a pro shop, snack bar/beverage center, driving range, practice green and more. Book now! 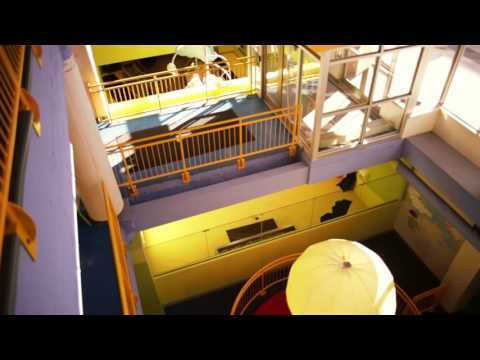 The Lincoln Children’s Museum, 3 miles, contains interactive exhibits for children & adults to learn & play together. Make sure to also visit Lost in Fun!, a children's indoor play area (10 miles). Book now! Shop at 100+ specialty stores at Gateway Mall (5 miles). Stroll the open-air shopping center, enjoy fine dining or catch a movie at South Pointe Pavilion (8 miles). For a full list of shopping centers, click here. Book now! Sunken Gardens, 5 miles, is an 85-year-old garden and the only Nebraska garden listed in the "300 Best Gardens to Visit in the US and Canada” by National Geographic Guide to Public Gardens. Book Now! Red Roof Inn & Suites Lincoln is non-smoking and all rooms feature free WiFi, in-room coffee, hair dryer, iron & ironing board and a 36 inch flat-screen TV. Select rooms also offer a microwave & refrigerator and a sitting area with a sofa. ADA Accessible rooms and plenty of free parking is available for all travelers. Book now! The non-smoking Red Roof Inn & Suites Lincoln is ideally located in suburban Lincoln, NE just 3 miles south of I-80 and exit 403A. This pet friendly, family friendly hotel is within walking distance to restaurants and less than 3 miles from the University of Nebraska, close to the mall, zoo, museums, golf courses and more. Book now! Pinnacle Bank Arena, 3.2 miles away, is an indoor multipurpose area that host sporting events, concerts and family entertainment. Click here for the events calendar. Book now! Downtown Lincoln is filled with many one-of-a-kind shops, fantastic dining, art, entertainment, festivals and more. Make sure to check out Haymarket District and visit the Nebraska State Capitol (3.7 miles away) when in town. Book now! Visit the campuses of Nebraska Weslyan University (2.8 mi.) or University of Nebraska – Lincoln (3.2 mi.). Stop in Memorial Stadium, home of the Cornhuskers, or Bob Devaney Sports Complex for sports, conferences, concerts. BOOK NOW! Check out the Lied Center for Performing Arts (4 miles) for Broadway, orchestra, dance, concerts & more. Check out Lancaster Event Center (5 miles) for trade shows, concerts, equines & more. Click here for the calendar of events. Book now! Pioneer Park Nature Center, 9 miles, is an environmental education center & wildlife sanctuary that contains 8 miles of hiking trails where you can see bison, elk & deer exhibits, small animal exhibit buildings, a play area for kids, gardens & more! Make sure to also check out the Nebraska Holocaust Memorial (9 miles). Book now! Visit the Museum of American Speed, 4 miles, for racing and automotive memorabilia, the National Museum of Roller Skating, 5 miles, International Quilt Study Center & Museum, 2 miles, for the largest collection of quilts in the world or the Sheldon Museum of Art, 4 miles, for 20th century American art collections. Book now! Lincoln Children's Zoo- 3.6 miles away- is home to penguins, red pandas, leopards, otters and more! Stay with Red Roof Inn & Suites Lincoln. 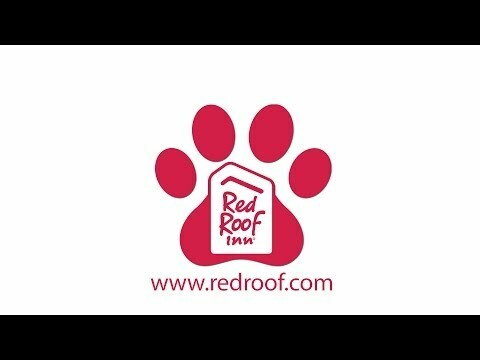 At Red Roof Inn & Suites Lincoln, "You Stay Happy, Pets Stay Free!" Enjoy your stay at our Pet Friendly hotel in Lincoln, NE. Book now! Visit Lincoln and experience all that this city has to offer. Learn more. Book now! The Lincoln Airport is located just 5.3 miles away and the Lincoln, NE Amtrak station (LNK) is just 3.6 miles away from our location. Plan your trip now and BOOK TODAY! "Far and away, this Red Roof is the best of all that we have visited over the past 10 years. Michael Flanagan greeted us with a warm welcome and answered all our questions. His hospitality was exceptional. We had a large, clean, comfortable business king room for our stay. There is an indoor hallway for access to the rooms, but we were close to an exterior door that made it easy to walk our dogs. The hotel also has an attractive swimming pool and sauna although we didn't take advantage of them." Book now.